Unlabelled BLOG : Bymo talks music business, creating a structure for the industry worthy of emulation. BLOG : Bymo talks music business, creating a structure for the industry worthy of emulation. 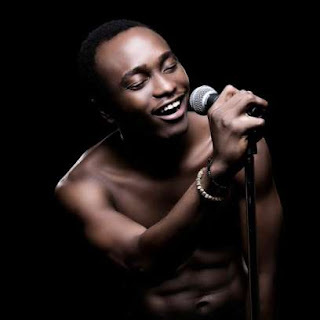 Brymo is known for his uniqueness and sytle of music, he made the chorus for the porpular ice price hit titled OLEKU. In recent interview with the omoge campus singer, he said his aim is to be come a success story of all time in music. The singer talks music business, creating a structure for the industry worthy of emulation. Speaking with presenter WanaWana Udobang on show Culture Diaries, Brymo stated that his exit from former label Chocolate City was a blessing in disguise for his music career. “The drama contributed to the success,” Brymo remarked on the success of the album “Merchant Dealers and Slaves”. On him having a cult following, Brymo thinks “the fans are after that expression” and his growth only stunts when he is afraid to try something new with his music. He also talked about his writing process, how family influences and values affect his song writing and the method he uses to select songs when making an album. Compliments by people saying “he has a lovely voice” and saying his music touches them as well as those that actually purchase his albums and come out for his gigs are what Brymo says makes him feel successful.